American International Group lost $4 billion in the last three months of 2012 as the insurer absorbed costs related to damage caused by Superstorm Sandy and the sale of its aeroplane leasing unit. AIG posted an operating profit that was better than analysts were expecting, however, and its stock rose in after-hours trading. It was the first financial report for the bailed-out insurer since the government sold off the last of its stake in the company in December. The New York-based company became a household name after it received a $182 billion bailout package from the government at the height of the financial crisis in 2008. The company nearly imploded by making huge bets on mortgage investments that later went wrong. Last month the company refused to join a lawsuit being brought against the U.S. government by its former CEO Maurice “Hank” Greenberg. The lawsuit claimed that the terms of the taxpayer-funded bailout were too onerous. 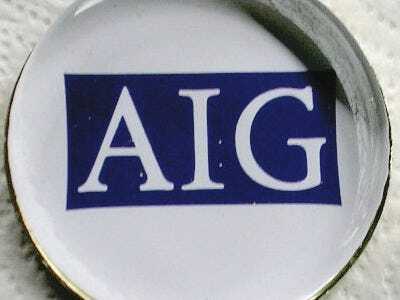 AIG has repaid the government’s bailout funds over the years. It has also undergone a massive restructuring that cut its size in half as it turned its focus to its core business of writing insurance. For the three months ended Dec. 31, AIG reported a loss of $4 billion, or $2.68 per share. That compares with net income of $21.5 billion, or $11.31 per share, in the prior-year quarter, when AIG benefited from a tax-related accounting gain of $19.2 billion. AIG’s property casualty segment bore the brunt of the impact from losses related to Superstorm Sandy, which made landfall on Oct. 29, spreading a swath of devastation that affected New York, New Jersey, Connecticut and eight other states. All told, AIG booked an after-tax loss of $1.3 billion due to the storm. That led to a fourth-quarter operating loss of $945 million in its property casualty unit. It recorded operating income of $367 million a year earlier. AIG’s latest results also included a $4.4 billion loss related to its agreement to sell International Lease Finance Corp. The deal reduced AIG’s per-share book value by $2.97. AIG’s operating income for the quarter was $290 million, or 20 cents per share. That’s down from $1.5 billion, or 77 cents per share, in the prior-year period. Analysts, on average, had expected a loss of 7 cents per share, according to FactSet. For all of 2012, AIG reported net income of $3.4 billion, or $2.04 per share, compared with net income of $20.6 billion, or $11.01 per share, in 2011. AIG shares ended regular trading down 29 cents at $37.28. The stock added $1.53, or 4 per cent, to $38.81 in after-hours trading. It’s up about 6 per cent this year.